Acting commissioner of the SA Revenue Service Mark Kingon was not joking when he said last week that taxpayers failing to file returns would face the law. On Monday, the tax authority named ten people who it said had been "convicted and sentenced since April 2018 for failure to submit outstanding tax returns". Last week, at the launch of tax filing season, Kingon promised the revenue service would prosecute deviant taxpayers who had not filed their returns. "We must grab hold of the issue of compliance, for the good of our country," he said at the time. The tax agency has been facing revenue shortfalls in recent years. The taxpayers were fined between R2 000 and R20 000 and admission of guilt fines were handed down by courts. SARS added the ten taxpayers in questions had "now submitted their outstanding returns". Kingon had previously said that taxpayers were in the habit of simply paying fines but still not filing their outstanding returns. In the statement SARS named the taxpayers, noting that they now have criminal records. "It is a criminal offence not to submit a tax return within the prescribed time for any of the tax types a taxpayer is registered for in terms of the Tax Administration Act," SARS said. In April, Fin24 reported that SARS and the National Prosecuting Authority (NPA) would work together in an initiative to prosecute non-compliant taxpayers for failing to submit returns. 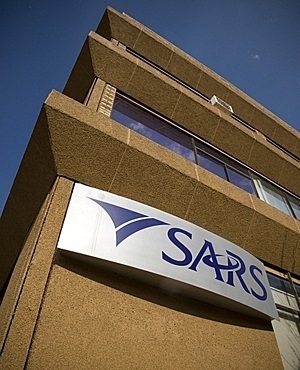 "Since April, the NPA has issued 35 summonses to taxpayers and VAT vendors to face criminal charges relating to their failure to submit returns," SARS said. Ten cases have been finalised, and 20 postponed, after the taxpayers had made their first appearance in court. There are 25 cases under investigation by SARS criminal investigations which will be handed over to the relevant authorities for further investigation. Another 24 additional cases were handed over to the police, and courts have issued three warrants of arrest for taxpayers who failed to appear.